Renowned Toronto caterers, Daniel et Daniel, brought a little magic to their holiday party with a theme inspired by everybody’s favourite wizard. 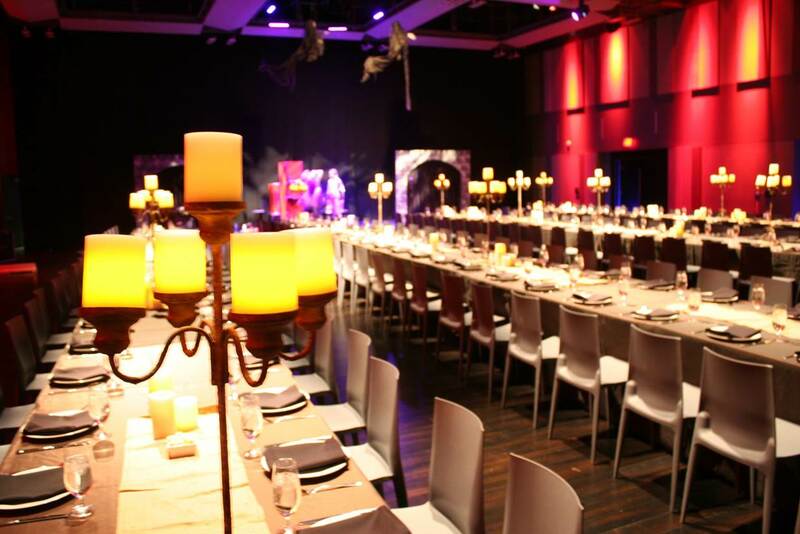 Glowing candelabras festooned the banquet tables, while warm Gryffindor hues lit up the walls creating an ambience to rival Hogwarts in Daniels Spectrum’s Ada Slaight Hall. It made perfect sense for this theatrical couple to get married in professional performance space Ada Slaight Hall. For this gorgeous wedding, planned and designed by Social Butterfly Event Design and decorated with hints of soft lime and teal, the retractable bleachers gave guests a fantastic view of the ceremony to the hundreds of guests.